Judicial Process consists of Warrants, Teletype, Enforceable Civil Process, Non-Enforceable Civil Process, and Validations. The Judicial Process Unit is responsible for fulfilling the Sheriff’s constitutional responsibilities as the keeper of Criminal and Civil Process. The Judicial Process Criminal Process Unit operates 24 hours a day, 7 days a week, receiving, processing and maintaining all felony and misdemeanor warrant documents and associated warrant records. The Unit is responsible for all warrants and wanted persons requests via radio, phone, and Teletype to all Law Enforcement Officials in state and out of state. In addition, the unit is responsible for arranging all in-state prisoner pickups, and all out-of-state fugitive extraditions. The Judicial Process Civil Unit process includes civil and criminal witness subpoenas, writs and executions. This Unit operates Monday through Friday from 0800 hours to 1700 hours, with three locations for convenient service. Warrants information is for Law Enforcement use only and will not be released by either of these offices by telephone to the public. To find out if you or someone else has an existing warrant, you can go to Wanted Persons Search provided by the FDLE website. You may contact the Clerk of Courts at (321) 637-5413 for Brevard County warrant checks. 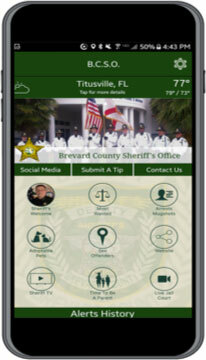 Brevard County Sheriff’s Deputies serve all Civil Enforceable Processes. As of July 1, 2014 House Bill 627 (2014) which relates to Service of Process authorizes a Sheriff to charge a $40 fee for each summons served instead of a $40 fee for serving multiple summons at the same time. LEVY – $ 50.00 (is considered made when any property or any portion of Property listed or unlisted in the instructions for Levy is Seized, or upon demand of the Sheriff the writ is satisfied by the defendant in lieu of seizure. Seizure requires the Sheriff take actual possession, if practicable, or, alternatively, constructive possession of the property by order of the court). All Writs of Execution are processed in the Main Judicial Process Civil Office at 700 S. Park Ave., Titusville, FL 32780. Cost Deposit. These vary depending on what you are taking, please call. Examples of Fees: These vary depending on what you are taking, please call. Minimum Cost Deposit Of $2,300 – Small Vehicles, Motorcycles, Small Trucks, Small Boats. Minimum Cost Deposit Of $2,800 – Large Vehicles; Motor Homes, Semi’s, Tractor Trailers. Minimum Cost Deposit Of $1,000 – Real Property; Stocks, Bonds, Jewelry. Personal Property: Office Furnishings; Businesses: Price To Be Determined On Quantity Of Items Being Levied. An Inventory List Will Need To Be Seen Before An Amount Is Determined. ** Larger Boats, Heavy Equipment Etc., To Be Determined On The Situation. Please Call Our Civil Process Unit For Any Questions That You May Have (321) 264-5207. Please check the newspaper The Reporter for items up for auction, with dates and times. NOTE: SERVICE FEES MUST BE FOR THE EXACT DOLLAR AMOUNT. ALL FEES COLLECTED SHALL BE NON-REFUNDABLE AND SHALL BE EARNED WHEN EACH ORIGINAL REQUEST OR SERVICE OF PROCESS IS MADE. 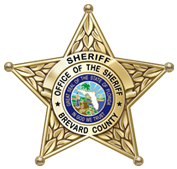 THE BREVARD COUNTY SHERIFFS OFFICE JUDICIAL PROCESS UNIT WILL NOT TAKE PERSONAL CHECKS AS A FORM OF PAYMENT. ACCEPTABLE FORMS OF PAYMENT ARE MONEY ORDERS, BUSINESS CHECKS, BANK DRAFT, CREDIT CARDS, OR DEBIT CARDS. NOTE: FEES CHARGEABLE TO THE STATE OR ITS AGENCIES SHALL BE THOSE FEES THAT WERE EFFECTIVE UNDER THIS SECTION ON JUNE 30, 2009. For information on how to process an eviction, please contact the Brevard County Clerk of the Circuit Court; they have eviction packages available to assist you. The Civil Office staff can not give you legal advise on any matter. Validation’s acts as a check and balance for the unit. It is dedicated to maintaining FDLE standards for all data entries within the unit such as warrants, and civil for audits by FDLE and the FBI. All Teletype entries must be correct in accordance with the deputy’s case reports and warrant entries must be correctly entered in accordance to the document. These offices do not issue court documents, but acts on behalf of the Courts. For question pertaining to Clerk of Courts procedures and fees contact the Clerk of the Courts at (321) 637-5413 or go to www.brevardclerk.us. For Driving Directions see the 18th Judicial Circuit website.